Home › News & Events › Webinar: Dialectical Behavior Therapy with Wilson Melo, Ph.D.
Webinar: Dialectical Behavior Therapy with Wilson Melo, Ph.D.
Dialectical Behavior Therapy, or DBT, is a form of psychotherapy used to treat individuals with Borderline Personality Disorder and other disorders. In this webinar, Dr. Wilson Melo will discuss the theoretical and practical techniques involved in practicing DBT. Participants will have a chance to ask Dr. Melo questions at the end of the webinar. 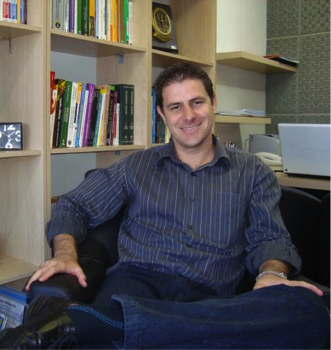 Dr. Wilson Melo holds a Ph.D. in Psychology from Federal University of Rio Grande do Sul and a Master's degree in Clinical Psychology from Pontifícia Universidade Católica do Rio Grande do Sul. Dr. Melo has research experience at the University of Virginia, where he studied Cognitive Bias in Anxiety Disorders at the Program for Anxiety Cognition and Therapy. Currently, Dr. Melo works as a psychotherapist and provides clinical supervision and diagnostic consulting at the Institute of Cognitive Therapy of Rio Grande do Sul. In addition, he is a professor and supervisor of the specialization in Cognitive-Behavioral Psychotherapy at Institute WP. Dr. Melo is a founding member of the Association of Cognitive Therapies of Rio Grande do Sul (ATC-RS) and Vice President of the Brazilian Federation of Cognitive Therapies (PBTC). Dr. Melo lectures throughout Brazil in Dialectical Behavior Therapy, Cognitive Behavioral Therapy, and Psychopathology.